EDITOR’S NOTE: Due to an overwhelming response, the Humane Rescue Alliance asks that people interested in adopting check the website for updates instead of calling. 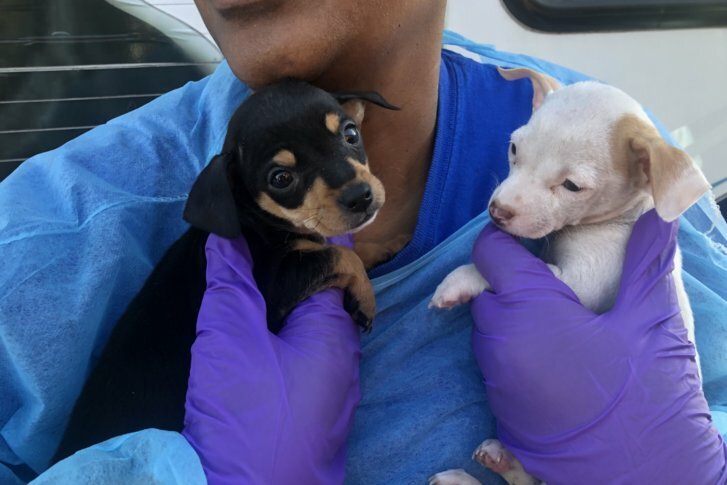 A truck transporting dozens of chihuahuas arrived at the Humane Rescue Alliance in D.C. on Monday, part of a massive rescue of 250 dogs from a breeder’s home in Mississippi. “These dogs were part of a breeder who decided they no longer wanted to be involved in breeding,” said Stephanie Shain, chief operating officer at the Humane Rescue Alliance in D.C. The 35 chihuahuas range in age from only a few months old, to seven years. They arrived in D.C. after two days of traveling. All dogs must pass a medical and behavioral examination before they can be put up for adoption, but those interested in adopting can begin inquiries as early as Wednesday. Shain said the dogs are expected to be adopted quickly because of their size, even though they are a bit bigger than the average chihuahua. Anyone considering adopting a chihuahua should keep in mind the dog will be a part of the family for years to come, Shain said. “You really are making anywhere from a 15-20 year commitment to them,” Shain said. To find out more, contact the Humane Rescue Alliance at 202-723-5730 or online. Pictures of the dogs will be placed on the shelter’s website as they become available. Around 60 of the rescued animals were brought to the D.C. area. Close to 30 dogs rescued from the breeder’s home were also delivered to Loudoun County Animal Services, and will be put up for adoption there soon. For more information on those animals, check their website.